PurpleStride Las Vegas is celebrating its 5th Anniversary! They have raised more than $101 million for pancreatic cancer research and patient services through community events from 2008 to 2017. But the true impact if their work together is measured in progress, not dollars. The five-year survival rate has increased by three percentage points since 2014 and is now 9 percent. Purple ribbons don’t rewrite the future of pancreatic cancer. You do. 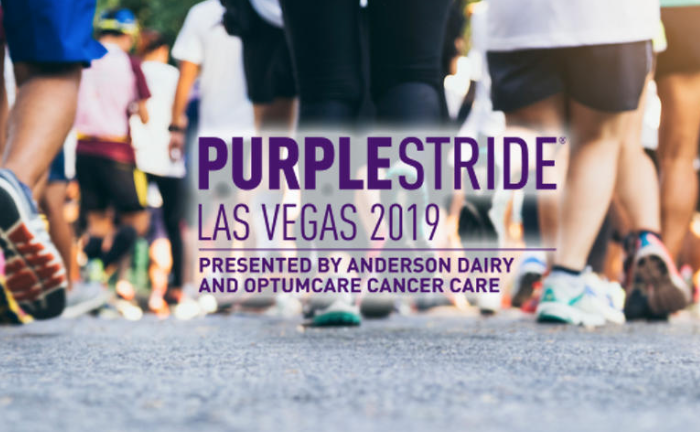 When you Wage Hope at PurpleStride Las Vegas 2019 Presented by Anderson Dairy and OptumCare Cancer Care, the walk to end pancreatic cancer, you join a vibrant community of survivors, impacted families, loved ones, researchers and advocates committed to rewriting the future of this deadly disease. Your fundraising and participation directly funds efforts to help patients and families. Come out and stride with us at our 5K run/walk!